NBC 5 and Telemundo 39 announced another weather forecasting first for North Texas. The stations introduced Big S Radar, the first and only state-of-the-art, commercial high-frequency dual-polarization fixed S-Band radar in the region. The new radar will give both stations a faster and more accurate long-range view into approaching severe weather threats like tornados. As intense weather phenomena approach North Texas, NBC 5 and Telemundo 39 will have the ability to access critical weather data without any delays to help keep viewers all across the region informed, first. 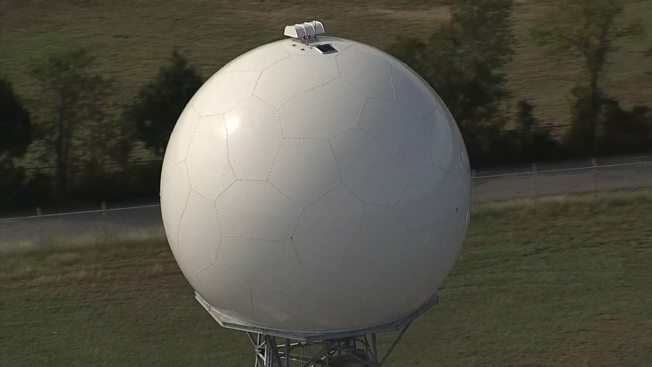 This radar is unique to Texas in that it will be the first S-Band radar that is owned and operated by a television station in all of Texas and it's only the third high-frequency S-band radar in the United States. Together, Big S Radar, Texas StormRanger and Texas Thunder Truck will help the stations’ combined team of eight certified meteorologists better predict severe weather to help their viewers better prepare and keep their families safe. The new dual polarization radar has an Effective Radiated Power of 10.4 Gigawatts to provide detailed information about water droplets, debris from a tornado on the ground, hail, ice or snow that is approaching. Strategically located southeast of Dallas and Fort Worth, Big S Radar will provide meteorologists with a clear view into the most densely populated sections of North Texas. This advanced technology will help the stations’ weather teams have immediate access to crucial weather information to help them forecast severe storms, including tornados, with greater precision. 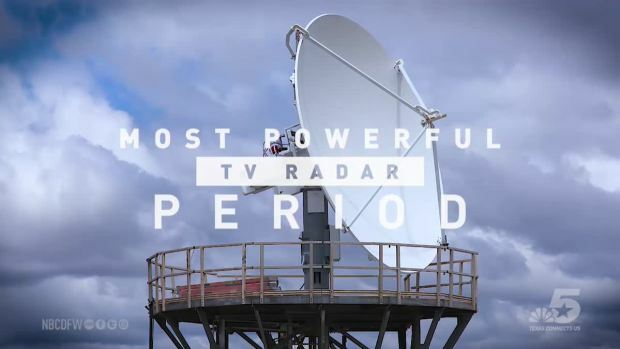 NBC 5 and Telemundo 39 are the only stations in Texas to be licensed by the Federal Communications Commission (FCC) to operate weather radar in the high-frequency S-Band. Big S-Band Radar Debuts Tomorrow! 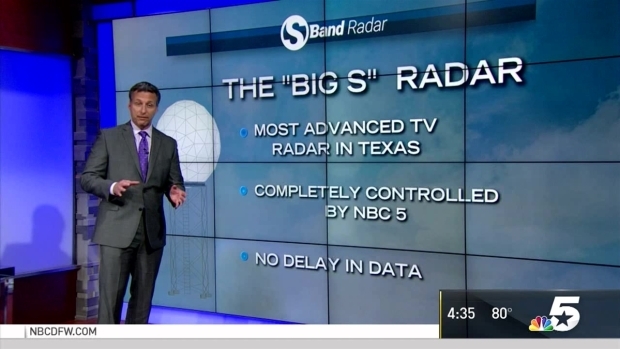 The number one goal of the NBC 5 Weather Team is to keep you safe during severe weather and our brand new Big S-Band Radar will go a long way in doing that. Watch this video to find out why it is so special. Earlier this year, NBC 5 and Telemundo 39 unveiled a new and first-of-its-kind mobile Doppler weather radar truck named Texas StormRanger in English and CazaTormentas 39 in Spanish. Texas StormRanger’s game-changing technology gathers, in real-time, weather and meteorological information that fixed radars can miss. This technology helps the stations’ weather teams have access to important weather information by filling in known gaps in the National Weather Service’s coverage. The high-resolution and narrow-pulse radar can also scan storms at the lowest atmospheric layers, allowing NBC 5 and Telemundo39’s meteorologists to determine the exact location of a storm, including its strength, its speed and where it’s headed. Viewers can access their hyper-local weather forecasts, including interactive weather radar maps, and track Texas StormRanger and CazaTormentas 39 through the stations’ desktop and mobile websites and individual station apps. App users will also receive push notifications when the mobile radar trucks are tracking storms and severe weather in their local area. Having real-time access to this crucial weather information may help local audiences better prepare for and keep their families safe from severe weather.